Over the last few years, custom neon signage has become more and more popular and demand has gone through the roof. It has taken off so much thats is now the latest trend across Instagram and is now featuring across home interior shows and commercial branding and interior design talks. Neon really is the go-to accessory for your home and workplace! Senior buyer of Debenhams, Claire Woodward has taken the neon trends in her stride by ensuring that they provide enough neon lighting and signage for everyone, in all colours and designs. Many famous people are jumping head over heels for the trend as the Beckhams’ have recently invested in a custom neon signage piece, Lady Gaga was right behind them by purchasing her own statement neon light, and the British supermodel Kate Moss reportedly spent £100,000 on a custom neon sign of her own signature. Singer and Author Tom Fletcher, also has installed neon lighting in his home as a feature piece and talking point. But it’s not just celebrities that are taking neon home, commercial and retail giants like Superdry and Topshop have also had neon lights and signage commissioned from A1deSigns to install in their larger stores in and around London. Bars are opting for the classic ‘Cocktails’ sign that is synonymous by the Tom Cruise film of the same name, restaurants are opting for neon lights and signs to direct people around the restaurant and showcase what they have on offer, like this one who installed a ‘Budweiser’ sign in their establishment, and coffee signs to show that bars also do hot drinks as part of their drinks menu. When it comes to your home, you have just as many possibilities, whether that be features, decorations, logos and more. 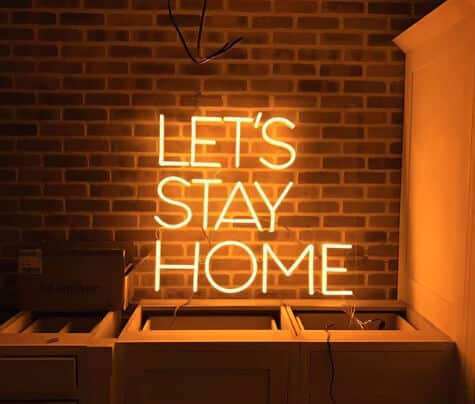 You can create your very own unique and bespoke neon sign for any location, work or home. The effects of neon lights and signage speak for themselves in terms of impact on the overall design of a room or commercial setting. We love creating new and bespoke designs so why not invest in one today and take your interior design to the next level. Contact our team today for more information on how we can help you create your dream neon sign.